Belgrave English School was founded in 1994 to give children the essential English skills they need to communicate and function as part of Japan’s growing international community. The school began as one branch in Nerima and has since expanded its service to include three branches in Hikarigaoka, Naka-meguro, and Meguro. With a staff of teachers from six different countries, Belgrave strives to impress upon its students the importance of thinking in a more global frame of mind. Belgrave International Pre-school formed several years later, out of the success of the English School, modifying the school’s original purpose in order to include teaching of social-behavioral skills and appropriate classroom conduct. While the goals of the English School are specifically directed at language acquisition, the Pre-school focuses on the development of the child as a student and individual. Children are immersed in a safe, positive environment that affords them the ability to develop as an independent leaner. The Belgrave classroom emphasizes the importance of self-responsibility, tolerance, adaptability, teamwork, and the use of effective communication skills. The Pre-school curriculum is comptised of basic vocabulary and phonics skills on which a rotated on a monthly basis. Topics include themes such as shapes, colors, prepositions, food, and seasonal themes. The curriculum acknowledges different learning styles and exposes each child to a variety of learning techniques including audio, visual, and tactile methods. As an educational institution, Belgrave International Pre-school is committed to developing the student as a whole to function successfully in kindergarten and within their communities. 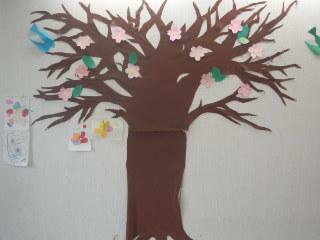 We opened International Kindergarten at Hikarigaoka in 2008 by request of Preschool children’s parents. Our hope is that with the combined efforts of teachers and parents, our students can grow, flourish, and become successful citizens of our increasingly global society. Belgrave International Pre-school aims to provide a safe,nurturing,and positive environment that teaches basic life skills,facilitates the discovery of self-potential,and celebrates diversity. Your child will develop his/her creative skills, social skills, and learn to be independent on the basis of preschool as we provide an advanced curriculum with excellent teachers. Creating an environment where young minds are empowered to experience the freedom of exploration and the joys of personal accomplishment. Presenting ample opportunities for active roles in classroom duties and leadership. Devising a schedule that enhances every child’s natural desire to freely create & experiment with whatever resources are made available. Open up ideas where physical applications are important as well as expanding the imaginations. Employing a routine study that incorporates academic challenges while retaining a level that is appropriate to the growth and progress of each child. Having a gentle, but firm understanding on each child’s unique perspective to the world and guiding them on paths that will benefit their future. Maintaining a suitable standard of respect, cooperation, and responsibility that serves as a guideline to values and a healthy sense of decision making. Education base on Montessori Method. The Kidergarten program is designed to aim each students’ developmental needs in the small class setting. Arrival time at school may vary due to some special events. The teaching staff for the Kindergarten are all from English-Speaking countries. Australia, Canada, the United Kingdom and the United States. As the general rule, the school requires and hires individuals who hold certificates from their home countries. As the children arrive they play with their and teachers and friends in the play-room. The morning session starts on thefloor in the study-room. We study vocabulary through songs. Toilet time & Snack time, Childcare assistants do toilet training, and afterward teachers serve biscuit and juice. Parents pick up their children and teachers are available for questions about the day. Parents pick up their children. Second day (free of charge) Your child can participate in trial lesson. Parents may choose any time between 10:00am and 2:00pm. Parents remain available nearby, If your child adjusts well to the classroom, patents may leave the premises. Third and Fourth Day Parents make a decision on enrollment. However,if a decision can’t be made, parents may pay for extra observation days. Students learn to effectively communicate in an international environment. Students extend upon phonics learnt in preschool and develop their reading and writing skills to prepare them for school. Students learn simple addition, subtraction, how to tell the time, and how to count money. Students develop their understanding of plants and animals in the world around them. Students learn about their local and international communities. A PE Teacher will develop students coordination and fitness through outdoor exercise and games. Ss discover their creativity through crafts using various materials. They will also develop confidence in their creativity by presenting their crafts to everyone. A 5year and 5months have enrolled our preschool program when he was 2 and 4months in September of 2005. Since then, he had attended 3years of preschool and learned the phonics skill completely. In April of 2008, he has enrolled our kindergarten program and his conversation skill in English has been improving. We have a video footage of Haruki reading a book called,”THE ENORMOUS POTATO” by AUBREY DAVIS. A BIG THANK YOU to you and your group of dedicated teachers and staff, especially Tracey, Nobuko, Misato, Becky and others who have greatly contributed to Bryan’s rapid development and interest in learning. We are very grateful to you and your staff for your professionalism and constant unreserved personal assistance beyond your scope of responsibility. Belgrave has a team of great teachers and staff under your leadership and we are confident that Belgrave will continue to contribute to the education and development of children in Tokyo. With best wishes. When you have a dual-cultural child in Japan where one of the parents is from an English speaking country, you want your child to be happy, make friends, learn English and be confident. Our four-year-old daughter has achieved each of these and Belgrave played a large role in this. She comes home from each day’s class full of energy and ready to talk about what she did that day, carrying a creative art work that she made. From this and from meeting the teachers each morning, we sensed each teacher’s sincere interest and professional skill in rasing and educating happy children. As a result, our daughter adapted quickly to the school when she first attended at age two. We are confident that our daughter will be ready for the next step in her education and life in Japan or abroad and wish to thank the teachers and administrators of Belgrave. 4 minute walk from Nerima St.
6-17-20 Belgrave Bldg. Kasugacho, Nerima-ku Tokyo 8 minute walk from Hikarigaoka St. or Nerima-Kasugacho St.
8 minute walk from Hikarigaoka St. or Nerima-Kasugacho St.
3-6-5 IM Nakameguro Bldg. 4F Nakameguro Meguro-ku Tokyo 8 minute walk from Nakemeguro St.
1-3-27 ASEND Meguro 8F Shimomeguro Meguro-ku Tokyo 3 minute walk from Meguro St. Copyright © 1994-2017 Belgrave School All rights reserved.